When he started Arizona Best Real Estate in 1987, MacIntyre’s plan was never to hire mass quantities of agents or open endless offices, but rather, to grow an independent firm and create an environment where real estate professionals could prosper in their careers and enjoy fulfillment in their personal lives. And more than 30 years later, MacIntyre is succeeding at doing just that. 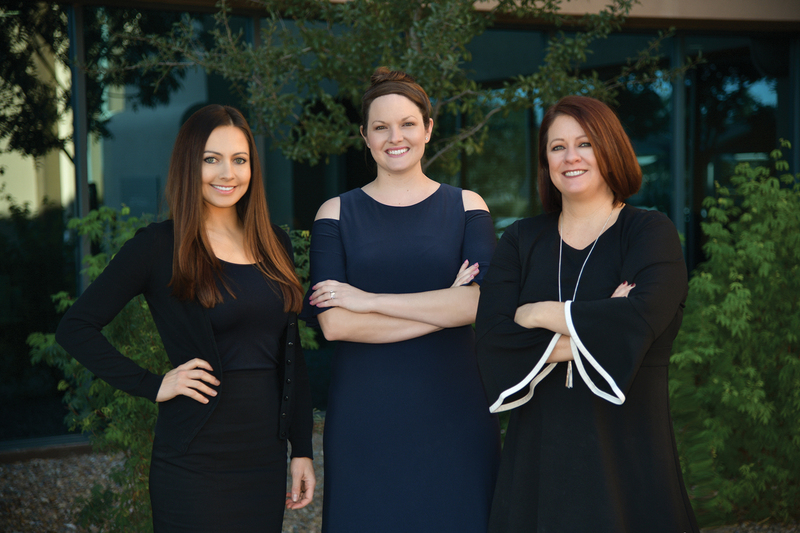 A leader in the local business community, the firm boasts an average agent tenure of 13 years, has held Ranking Arizona’s No. 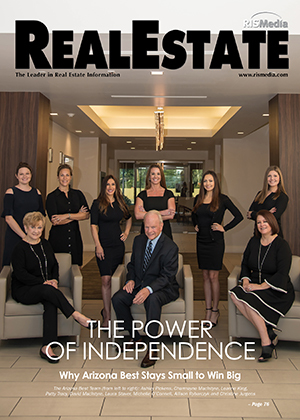 1 spot in Corporate Relocation five years in a row, enjoys consistent award recognition from Leading Real Estate Companies of the World®, and is more committed to remaining independent than ever. Here, MacIntyre shares why focusing on the individual agent is the best competitive advantage any broker—large or small—could have. Maria Patterson: David, you have a very diverse background. Would you begin by telling us a little about your career path? David MacIntyre: Of course. My personal career has a strong focus on education. I graduated from Arizona State University (ASU), earning a business degree with a major in real estate. My time at ASU gave me a solid understanding of business trends and financial systems that have helped me throughout my career. Later on, I was director of Education of the Arizona Real Estate Department, where I introduced the statewide purchase contract, renewal courses and guidelines for college courses, as well as introduced public-speaker training for instructors. I earned the REALTOR® designations of CRB, CRS, ABR® and GRI, and I advise all REALTORS® to take these courses; in fact, I reimburse my agents who do so. These courses provided me with information that would have otherwise taken years to learn. I have also attended most national speakers’ seminars and have read their books. My favorites are Rick DeLuca, Joe Stumpf, Larry Kendall and Mike Staver. I have a few hundred books in my library. Over my first 20 years, I managed several teams, offices and companies for both local and national firms, responsible for anywhere from five to 600 people, before opening my own firm 30 years ago. My time working for franchises and corporations was invaluable, as I learned the importance of cooperation and working together for a desired outcome. It also gave me the opportunity to experience a wide variety of systems and strategies. But through it all, community service has been the cornerstone. The principles of “Service above self” and “To whom much is given, much is expected” have guided everything I’ve done. I am a REALTOR® Emeritus of the National Association of REALTORS® (NAR), was a director with the Boys and Girls Club, the Rotary Club and the Presbyterian Church, and I have served 15 years on the Professional Standards Committees of the Phoenix, Scottsdale and Arizona Associations of REALTORS®. MP: Arizona Best has a long history in the market. When did you first start the firm? DM: Our family has been involved in residential real estate locally for 65 years. 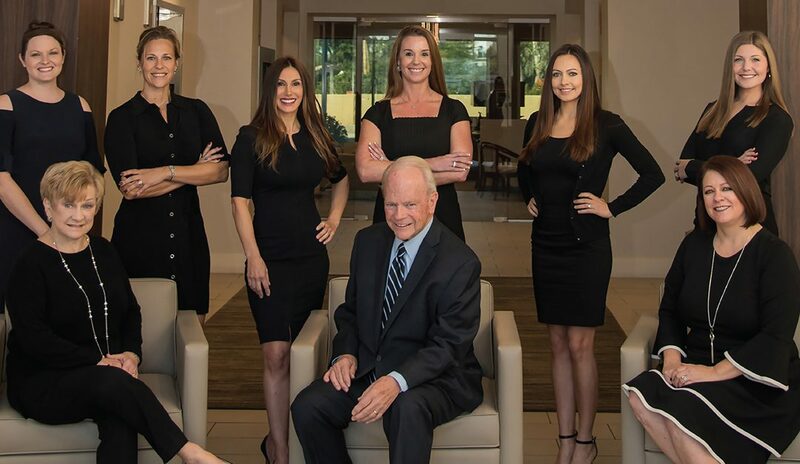 I have been active for 50 years, my wife, Charmayne, for 43 years, and our daughter, Allison Rybarczyk, our relocation director, represents the third generation and has been involved for 23 years. We acquired this company with 115 agents and 400 active listings in 1987 from a Savings and Loan association during the savings and loan downturn. We used the hard lessons learned during that period by maintaining good cash reserves, so if the market drops by 50 percent, we would still be in business. This conservative philosophy paid off, as many of the larger firms that expanded in the 2005 boom sold or went out of business in the 2008 downturn, while we remain a profitable, family-owned and -managed company today. MP: How many offices and agents do you currently have, and how would you describe the firm’s current positioning? DM: We are in the process of growing our company from its current size of 100 agents and seven locations. Our model is that of a relocation company with agents. We were named the No. 1 Corporate Relocation company by Ranking Arizona five years in a row. The relocation component of Leading Real Estate Companies of the World® (LeadingRE) is the glue that holds us together. It’s all about sending someone you know to someone you trust. MP: Tell me about your decision to stay independent. What can other small, independent brokers learn from your experience? DM: The first reason is all about quality. As an independent, we control our reputation. The second is about culture. A real estate agent is the core that everything revolves around. 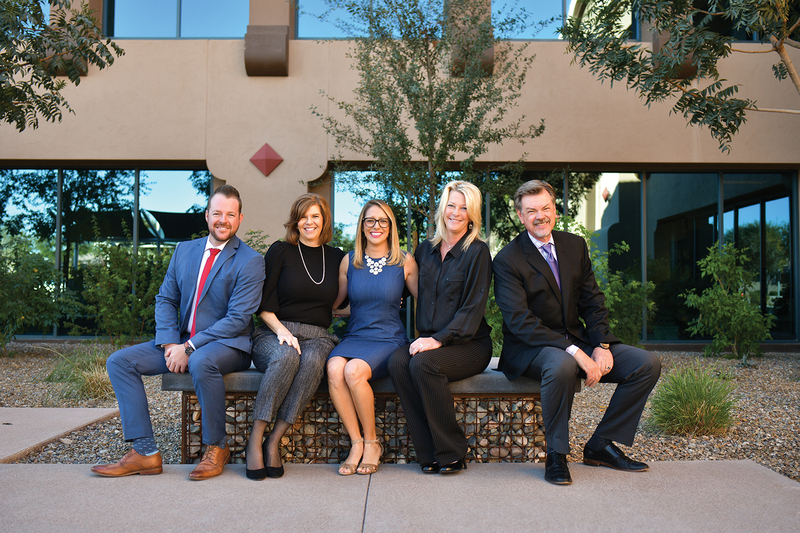 Arizona Best believes the individual agent is the competitive advantage…and that’s an advantage that can be replicated by any firm, large or small. An educated agent who is liked, trusted and respected by others is the best competitive advantage, and I’ve slowly grown the company with quality agents. 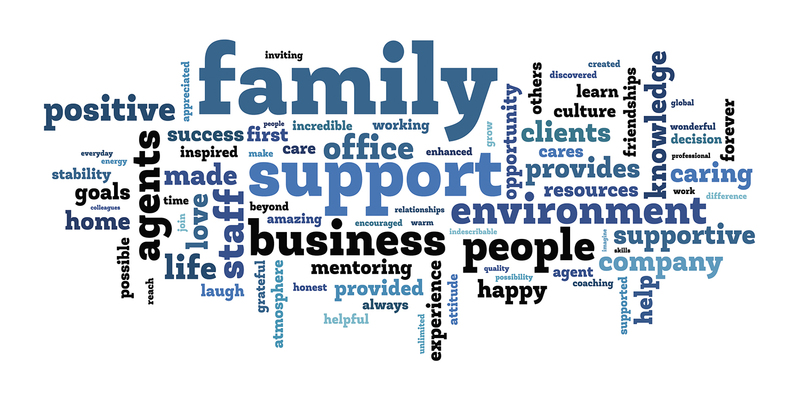 Arizona Best asked its agents what it’s like to work at the firm. The above Word Cloud expresses their thoughts. Create one for your firm at WordArt.com. We compensate our agents well, provide them with education, and, most importantly, we really care about them. So it’s not about the quantity of people; it’s about helping people succeed while finding the balance in their own life. MP: I love your philosophy about focusing on quality. How does this help you succeed in the marketplace? DM: When we deal with another firm, we always hear about how qualified our people are. And we always do the right thing. We’ve had virtually no litigation in 30 years. Good agents don’t get a paycheck unless they do a good job, and brokers don’t survive unless their agents do a good job. The bottom line is to have a servant mindset where you focus on helping others. That is your competitive advantage. MP: So, then what has been your approach to growth and expansion over the years? DM: Our approach to growth is quality over quantity. If we can hire, educate and retain great employees and quality agents, we will expand. In the book “Good to Great” by Jim Collins, step one is to hire the right people. Our reputation is important; therefore, we hire staff and recruit agents based on character and teach them the skills needed to succeed. Normally in Arizona, 80 percent of agents who start a career quit within two years. Ten percent do okay, and 10 percent really prosper. In my opinion, any massive recruiting program where 90 percent of the people fail or do not prosper is not fair to the person trying to earn a living in residential real estate. The success of the person is our highest priority. I have always respected Dale Rector and the concept he launched with Realty Executives, which was to help individual agents. We want to make people’s lives better. We hire who we can help. DM: We do. I like the concepts of “To earn the best, be the best” and “People are your most important asset.” Therefore, we hire sparingly and educate extensively. As a personal believer in education, I have provided everything for our agents to succeed if they choose to do the work. For agents, we provide 300 courses through our Arizona Best University platform, powered by Institute by LeadingRE, which was voted the No. 1 Training Program by Training magazine. We also provide weekly education at our sales meetings using the Ninja Accelerator program by LeadingRE and Larry Kendall of Ninja Selling. We have paid agents to attend out-of-state and out-of-country conferences for LeadingRE, Luxury Portfolio, Who’s Who in Luxury Real Estate, MAESTRO Leadership, By Referral Only and Ninja, as well as many meetings and seminars held in Arizona. I don’t need a lot of agents, but I need really good agents. Again, if you want to make the best income, you need to be the best. If you have the quality, you can be the best. MP: How would you describe the current state of the market, and how do you handle challenges? DM: When new business concepts are introduced in our industry, we can instantly adjust to compete. For example, we consistently analyze the newest technology opportunities while waiting to see the results that others have first, because oftentimes, the leading-edge idea is improved upon by the fourth or fifth competitor or an upgrade to the original version. We have waited as long as six years for some ideas. We go with the best proven technology. MP: What’s the final decision-maker when it comes to new technology, then? DM: It’s difficult for our agents to work on business and learn new technology. When we roll something out, we have to know that it works well. Our final decision on bringing in a new technology is whether or not it’s going to make the agent’s life easier and more profitable. MP: What are you doing differently to stand apart from the competition? DM: We normally do not advertise in newspapers or magazines or on the radio or TV, which saves us thousands of dollars, which we then spend to educate our staff and agents. As an independent firm, we also save thousands more in franchise fees, which we use to pay higher salaries and bonuses to our staff, and generous commissions to our agents. 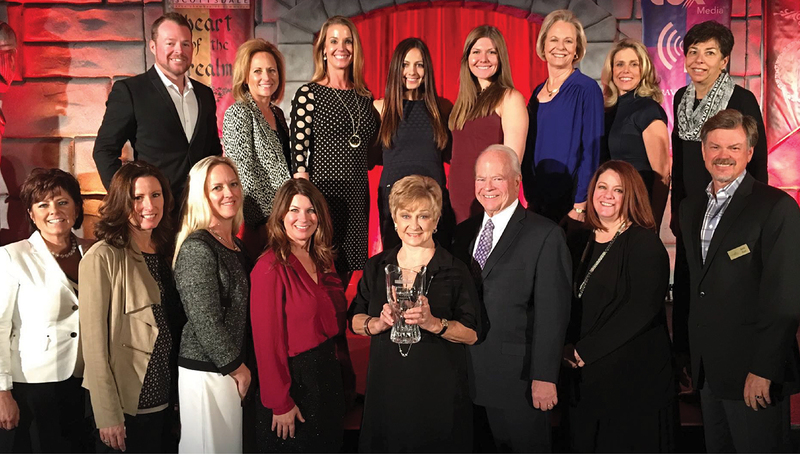 Arizona Best Real Estate was awarded the Scottsdale Chamber of Commerce’s Sterling Award, which celebrates outstanding community contributions. DM: The No. 1 reason is money. Agents earn more money here than even at 100-percent commission firms because of our strong corporate relocation model, which provides them with more actual take-home money. The second reason is our culture. Our highly-paid, full-time staff also averages more than 12 years with Arizona Best Real Estate. Agents stay because they are treated with respect. Quality people enjoy being with other quality people. We hire positive, approachable, honest, professional, quality people and provide them with the money, tools and resources to prosper. We show them the path and they determine how to use the tools that fit their personality. MP: Tell me more about the benefits of being part of LeadingRE. DM: I was first involved in RELO in 1969. Jack Clevenger of Jack Clevenger Realty and Al Gazley of Ed Post Realty introduced me to RELO and the value of independence. RELO eventually transitioned into LeadingRE, so LeadingRE really has a 50-plus year history; that’s why their knowledge of real estate practices is expansive. LeadingRE is an open, friendly community of like-minded people from whom my agents and staff benefit greatly. However, a company must be invited into the LeadingRE network every single year, which keeps participation and standards at the highest level. Membership in LeadingRE is the greatest benefit to the real estate industry in the last 50 years because now a small, quality firm can compete. LeadingRE allows you to get together with brokers who you trust and start sharing business successes, as well as hits and misses. LeadingRE has also provided us with a way to move into technology, because it would be hard for us to keep up on our own. I am also part of LeadingRE’s Rainmakers group, a group of brokers who meets once or twice a year, and Allison was the 2018 chair of the LeadingRE Relocation Advisory Council, and has also served two terms on the council. Allison and I can both attest to the fact that the No. 1 reason to be part of LeadingRE is the relationships you build with other people. Through those relationships, you get access to vision, imagination, thought leadership—an idea that might make sense for your business. Most importantly, we have made lifelong friends. MP: Finally, David, what’s on deck for the future of the firm? DM: Current programs in progress are to double our gross commission income within three to five years. I expect our per-agent productivity to grow from 750 sides to 1,500 closed transactions a year. I also anticipate our gross profit will quadruple because we already paid for the growth anticipated. Small works for us. For more information, please visit www.arizonabest.com.